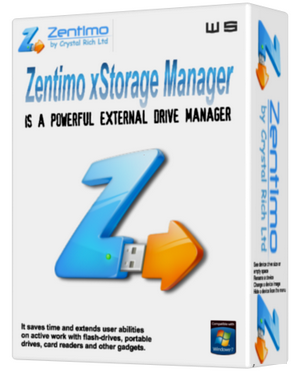 Zentimo xStorage Manager is an advanced and most powerful tool that offers a variety of features and functions that will help you to manage your secure external storage devices. Zentimo xStorage Manager is an easy to use application designed to help you easily manage your devices USB and eSATA and gives you many more skills at your disposal: you can stop or units with a click, Navigate quickly and launch portable applications, Test the speed of your units, Scan for hardware changes, Stop all devices at the same time. Using this tool you can view size, empty space and the drive of the device icons. It allows you to customize everything.